I eat bars just about every day — usually as pre-run snacks in the early morning. I wake up to run most days around 5 a.m., and I'm the kind of person who wakes up hangry. But I don't want too much on my stomach before a run. Ideal running fuel contains a good amount of carbs and simple sugars, so most bars, whether they're raw fruit & nut bars or agave-sweetened granola bars, are just right. 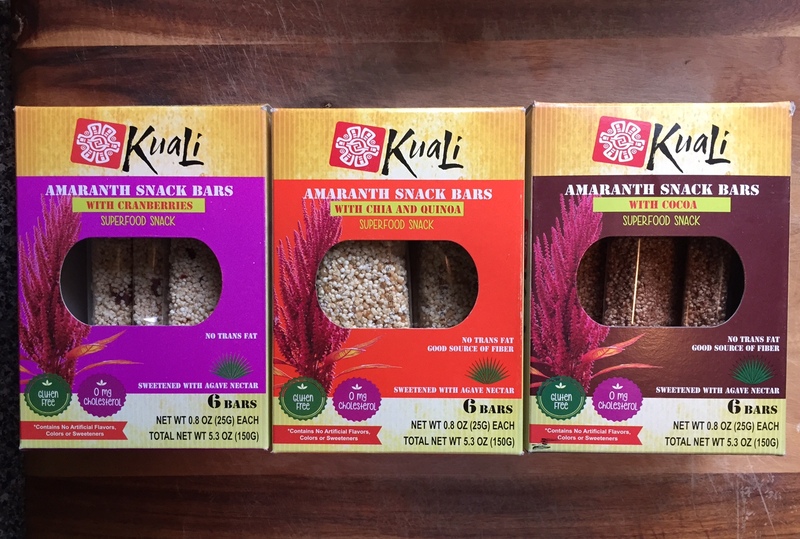 Kuali sent me some samples of their amaranth superfood snack bars to try, so I've been consuming these before runs for the past week. These are made with amaranth, a gluten-free super-seed that has iron, magnesium, phosphorus, and potassium. It's also one of the rare pseudo-grains that contains Vitamin C.
The amaranth in these bars is popped, which gives them a really cool texture and almost popcorn-like flavor. I've tried popping amaranth at home before, and it's no easy feat. I typically burn the seeds before they pop. But I love that Kuali bars have done the hard work for you. The ingredient list is simple, and it fits all my criteria for a good running fuel bar. The first ingredient listed is agave syrup, which is a great simple sugar for quick energy. And the popped amaranth works to keep me full for a 30 to 50 minute run. I tried the Amaranth Snack Bars with Cranberries first. These were flecked with dried cranberries. At first, I thought the bar tasted a little dry. But mid-way through, I grew to actually enjoy the chewy, dryness of the bar. And by the end, I wanted more. They have a way of growing on you. I could have used a few more cranberries though. 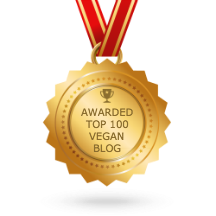 Next, I sampled the Amaranth Snack Bars with Chia and Quinoa. The texture was very similar but slightly less dry. Although I spotted some quinoa in these, I couldn't find a chia seed (maybe they're blended into a gel before they're added?). Despite that though, this ended up being my favorite flavor. (UPDATE: The company read the review and contacted me to let me know they were using a pale chia seed in these, so they blend in. 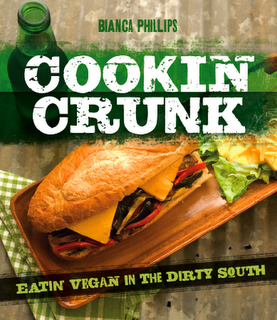 But in future bars, they may begin using the regular, darker-colored chia seeds). The Amaranth Snack Bars with Cocoa were really yummy too. The cocoa flavor is mild, but it's there. And it's a nice complement to the popcorn flavor of the amaranth. 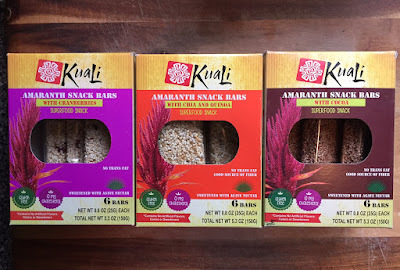 Kuali bars are unlike any bars I've had before, and I like that! Sometimes, I get stuck in a rut of eating the same Larabars over and over and over. But these were very different. I'd buy them again! Vegan Drinks at Trolley Stop Market! 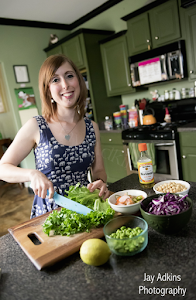 Three Fold Noodle & Dumpling Co.
Epic Vegan Brunch at Little Rock's The Root Cafe! New So Delicious Cashewmilk Ice Cream Flavors!